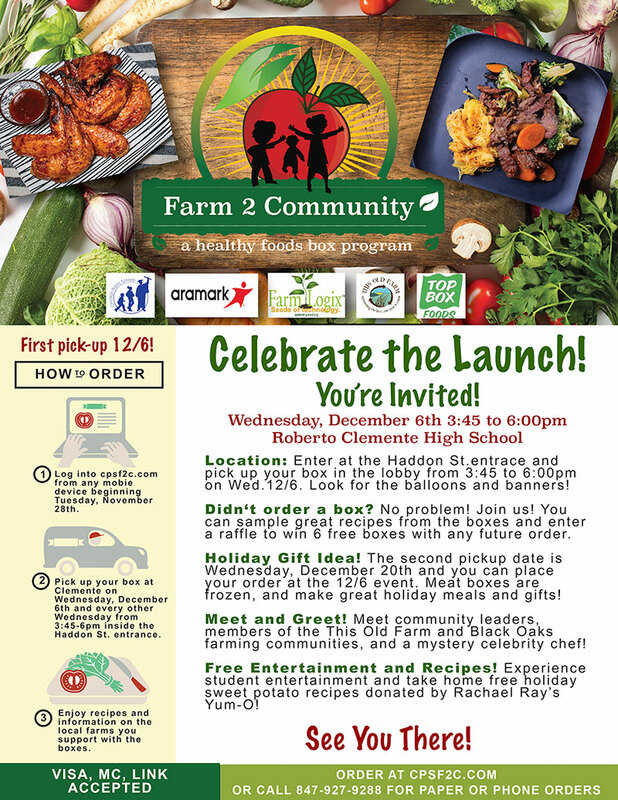 Farm to School is an effort to get Locally grown farm products into schools helping children better relate to where their food comes from. This new project takes it one step further by having meat boxes available for students to take home to their families! Come celebrate this new project with us! so order yours today! Boxes make great holiday gifts at every price point! 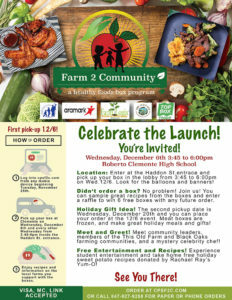 Visit cpsfarmtocommunity.com to place your order. Visa, Mastercard and LINK accepted. formed to bring local, healthy food to under-resourced Chicago communities.